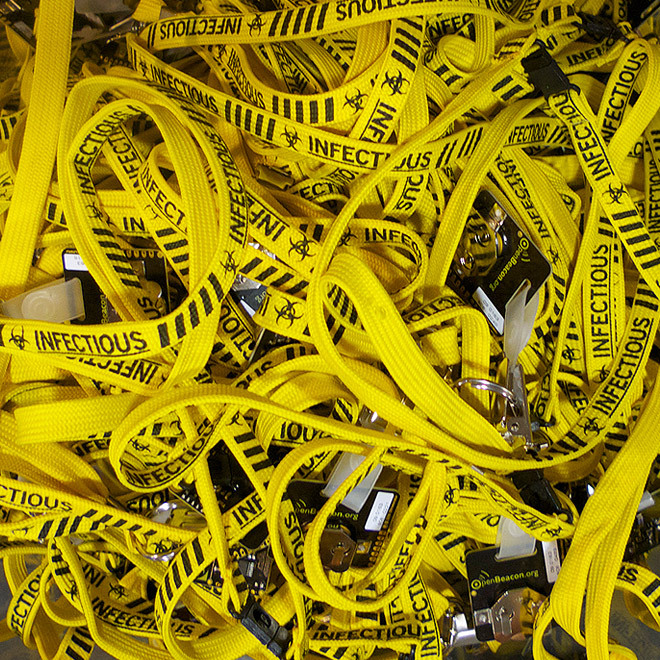 Lanyards with RFID badges used for the Sociopatterns deployment in the INFECTIOUS show in the Science Gallery, spring 2009, Trinity College, Dublin. Credits: Graphic design: Detail. Design Studio, Dublin; Photo: Wouter Van den Broeck.